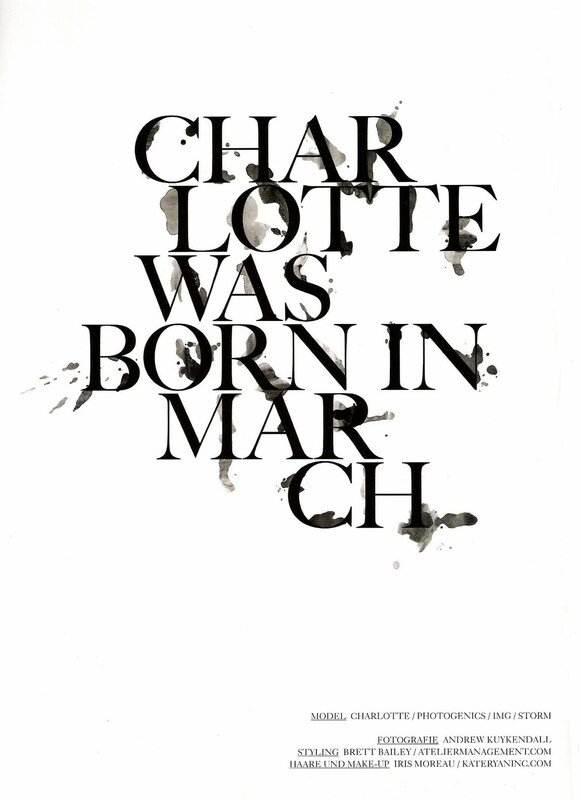 This day is definitely about Charlotte Carey. And yes, sometimes we fall in love with a face, like in Charlotte’s case. She’s thrilling our minds with her charisma and her natural look in front of the camera. Charlotte is still very young, she comes from the USA and she was discovered by Photogenics Models in Culver City, USA. (Photogenics is a real boutique agency in the USA, which represent girls like, Alla Kostromichova, Meghan Collison & Olga Sherer). Charlotte is as well signed with IMG Models in New York and Storm Models in London. She has a silhouette of 5′8 (173m. 80-61-86). Charlotte isn’t the tallest, but as you can see, the height doesn’t play any matter, if the look and the certainly special is available. Charlotte is striking, isn’t she ? 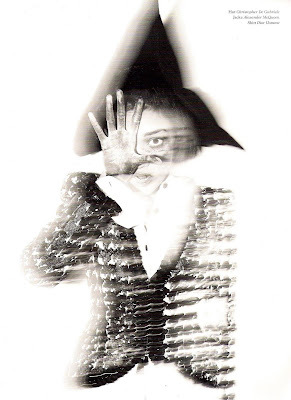 She’s in our eyes one of the most talented new faces, that we have seen in the past. Well, we actually only wanted to introduce you Charlotte’s “Material Girl” editorial, that you can see in this post too. But when we saw her polaroids, we couldn’t go on without showing them as well here. Material Girl has always strong editorials with upcoming new faces. At this time, Charlotte has caught in our eyes. 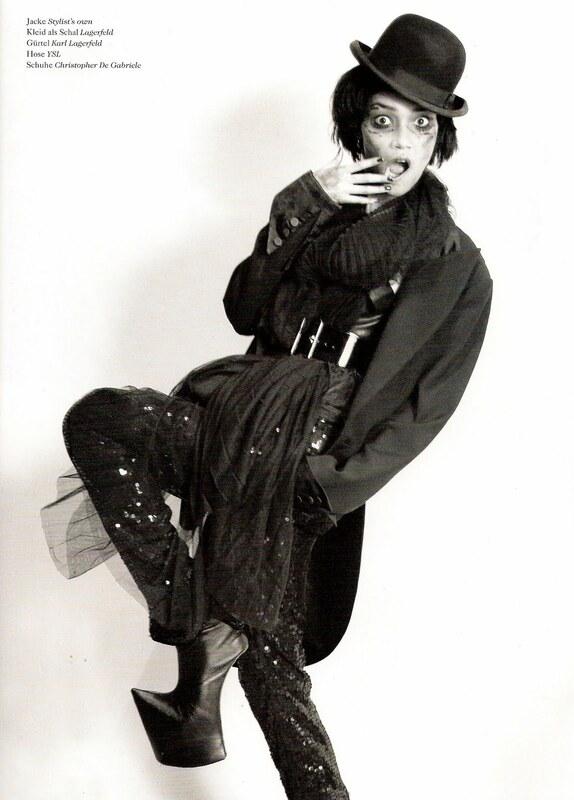 She hasn’t only an editorial in Material Girl, she scored as well the cover. We love Charlotte’s attitude in front of the camera, they are fresh, playful and confident, especially in front of Andrew Kuykendall’s camera. Charlotte is definitely a promising face, that came in the modeling industry. 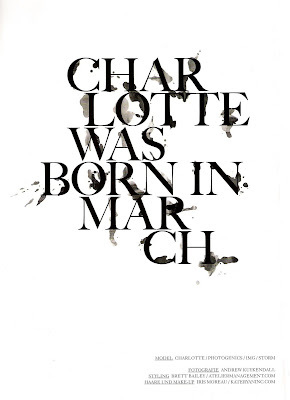 Her story in Material Girl is named “Charlotte was born in March“. You can see the editorial in the pictures above. All about Models wishes you all Happy Easter !!! We’ll be back on Tuesday with upcoming new faces.